Take a journey into the histroy of the aparheid struggle as we explore the busy township of Soweto on one of our historical Soweto Tours. Soweto, short for "SOuth WEstern TOwnships", was the brain child of the Apartheid Government, and came into being in 1956 as part of the "Group Areas Act". 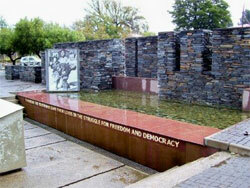 On this tour we journey to the "Birth place of the struggle", as we explore the Regina Mundi Church, a famous refuge from the State police; visit the homes of Nelson Mandela and Archbishop Desmond Tutu; pay our respects at the Hector Pieterson Memorial; and visit Freedom Square, amongst other sites of significance. 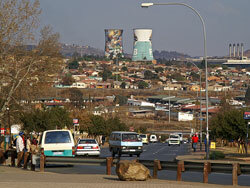 So please join us on one of our amazing Soweto Tours as we pay homage to those who fought against apartheid. This tour can be combined with either one of our Johannesburg Tours, Gold Reef City Tours, or Apartheid Museum Tours. An alternative drop-off point within Johannesburg can be arranged with our guides at no extra charge.